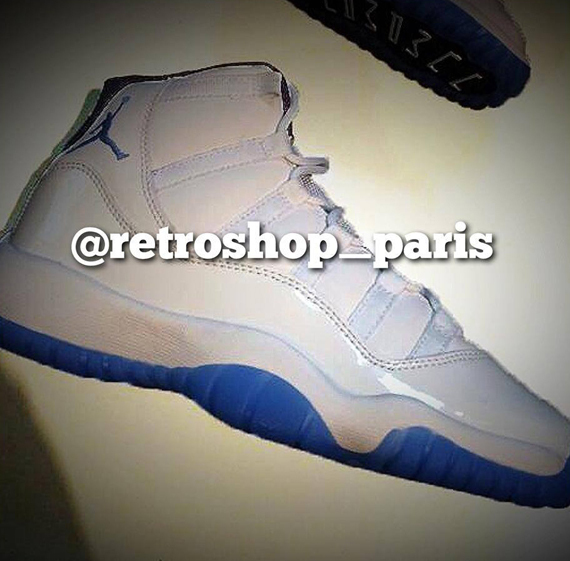 Last month we got a first look at the December 2014 Jordan release of the Air Jordan 11 “Legend Blue”. 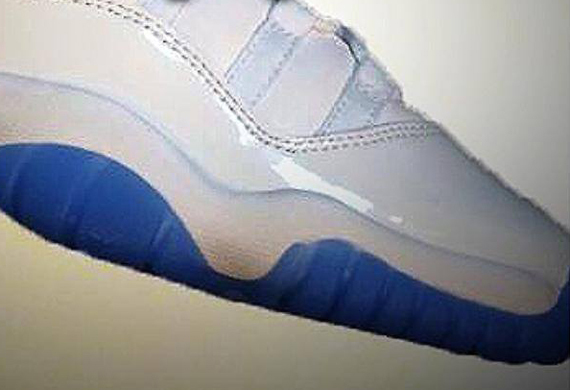 As one of the 10 most important headlines of April, the reveal of this year’s Air Jordan 11 release at the end of the year will surely be followed with countless previews and updates in info, like this first peep at a kids GS size. While the OG “Columbia” s what immediately strikes us when viewing these photos, the “Legend Blue” is like an evolved version of Columbia which speaks to Jordan’s entire career rather than his time with UNC. These are likely to hit on the weekend just before Christmas, so check out extra photo below and stay tuned for more updates on Jordans.